Like they had predicted, but I did get some company on Saturday! 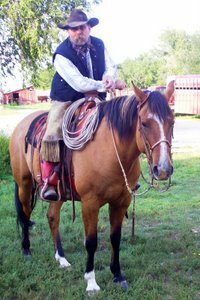 Kelly is a nice young lady who I met last fall and she is missing riding horses so I told her to come ride. So she did! 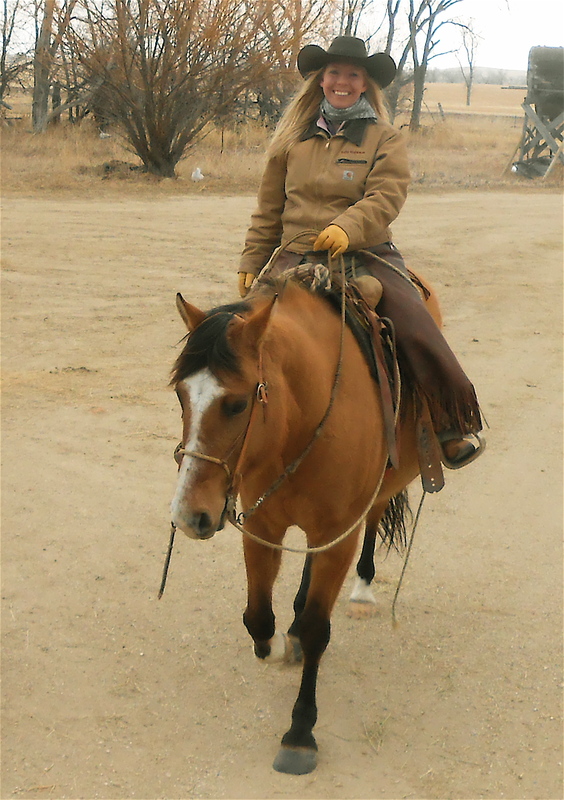 We had a great time, she went along with me to feed cows with the team and she was bundled up enough so we saddled up a couple horses and went for a ride up west. then we stopped and she got to meet Chance and hope and all the kids then back to the house while she visited the baby kittens while I cooked up some lunch. Afterwords we sat around and swapped some music and showed each other some cool stuff on Youtube. Cindy got home from work and visited and then Kelly had to go, and we went to Mass. She claims she had a great time and even bragged on my cooking and contacted me this morning to get the recipes. I puttered about this morning, working on songs and then when Cindy got home we took a drive up west and north and let the cows into Harry’s. Quite a little old brown grass and they just might not be so fussy now, so might eat it!